High Temperature Tube furnaces 1400°C. – 1600°C. Ranges ST14, ST15 & ST16, up to 1400°C., 1500°C. & 1600°C. Tube furnaces are available for a wide range of operating temperatures (see also 12ST and 17ST ranges). Constructed using a robust casing for bench mounting. A double skin construction together with inner panel ventilation fan ensures that the furnace casing remains relatively cool. The furnace lining consists of high efficiency graded low thermal mass insulations to reduce heat losses and enhance a uniform working zone. A selection of open ended work tubes (dependent on maximum temperature requirement) can be supplied for use with the furnace. The tube is supported at each end by hardened fibre insulation. Heating: The heating elements are silicon carbide rods mounted horizontally and symmetrically positioned around the work tube. Power switching to the elements is by means of solid state relays for accuracy and reliability. Controls: The controls are on one side, below the furnace body, and set at an angle for ease of vision. A microprocessor based digital temperature controller with set-point and process displays, provides accurate fully automatic control with variable ramp to set-point facility. An adjustable independent digital over-temperature protection controller is fitted as standard. Controls include thermocouple break protection. Other sizes, as well as vertical tube; multi-tube, and split tube furnaces can be made to order. 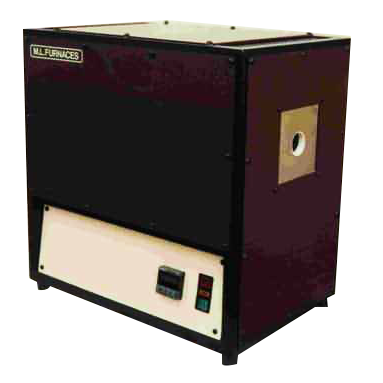 Single open ended tube furnaces are also available. w = Work tube required on these models with inside diameter as shown. Options include: alternative models of temperature controls / programmers / recorders / communications / timers / work tubes / tube end caps, seals and baffles etc. The information and data herein are offered solely for your consideration and guidance and are not to be construed as a warranty or specification. Nothing contained herein is to be interpreted as authorisation to practice a patented invention without a licence.